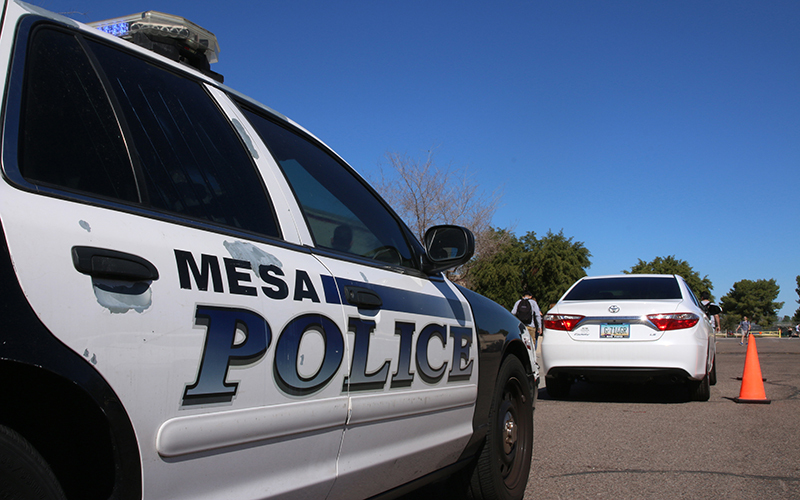 PHOENIX – Arizonans taking the driver’s test this spring will answer questions about how to behave during routine traffic stops in a move to improve safety for drivers and law-enforcement officers. Arizona lawmaker Reginald Bolding and community leaders are drafting recommendations for the written tests to offer clear, consistent standards in a state where expansive gun laws can risk confrontations, Bolding said. The written test questions will help drivers understand “what to do when stopped by a police officer but also what their rights are if they feel they’re being discriminated against, if they were stopped wrongfully, or if they think the interaction between themselves and the officer is one in which they feel is not professional,” Bolding said. The Arizona Department of Transportation is drafting the questions that will be on the test by March. Bolding said police officers’ behavior at traffic stops is also important. 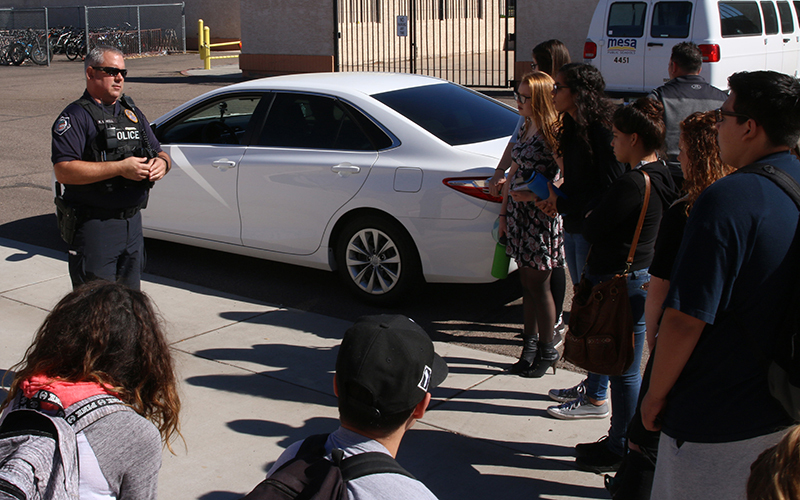 Mesa police officer Ryan Lovell this week provided pointers to driver’s education students at Mountain View High School on what to do if they’re pulled over. Jim Faul, who teaches driver’s ed courses at the school, said Arizona’s expansive gun laws, including concealed-carry laws that allow gun owners to place their guns in a vehicle glove compartment or under a car seat, means drivers need to act in a way that is safer for them and police officers. Bolding said officer-involved shootings across the country, including those of drivers at traffic stops, show the need for an updated driver’s test. Bolding said he pressed for recommendations for drivers carrying a handgun or other weapon, such as where a driver’s hands should be placed or when it’s appropriate to turn on the vehicle’s dome light.